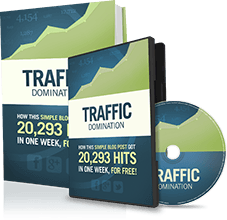 Facebook ads have transformed the way we make money with our website. We have our ads set up so that we always make more money than we spend, and always have a positive return on investment. It could be anywhere from 20% to 400% depending on what we’re advertising. Needless to say, it’s worth sharing with you guys. We’ve learned everything we know on this subject from Brian and Scott Moran at Get10kFans and their Facebook Ad Academy course. If you haven’t already, I would suggest reading my ‘Top 10 Facebook Advertising Mistakes To Avoid‘, as it will start you on the path to making money more before you’ve even started. Lets say you’re selling a $100 (for the sake of round numbers) digital product online. Every sale makes you $100 clear profit. So long as you spend less than $100 on advertising that product (and make a sale), you’re making a positive return on investment. Just how much that return on investment is all comes down to how you market the product. So how do you advertise the product? We’re first going to look at a popular technique of collecting emails first, and then redirecting people to sales pages, and chasing them up with emails. You set up a Facebook ad campaign to advertise a free ebook / report / course, in return for someone’s email address. This can be done with a page template in OptimisePress, and a whole host of other software. When they enter their email address, they get added to your list, and the first followup email they receive contains the free offer. You have their attention; don’t waste it. You can automatically redirect your leads when you collect their emails. Either when they enter their details, or confirm their email address. This is when you want to send them to a sales page. And then I lead into a sales pitch. That’s just one way of doing things though. You could send people to a one-time-offer page, where they can a limited discount on a product if they purchase within the next hour. Or you could send people to an affiliate page. Or you could send them to a page with a bunch of discount codes for multiple affiliate products. I’ve tried all three, and I prefer the first method as I can easily do the other methods later on through email too. The possibilities are endless, and you should test for yourself, but there’s one thing that they all have in common: each page is monetized. This means that the traffic you’ve paid money for is then being sent to pages which will make you money. You’re only going to make an initial return on investment from a handful of people in step 2, so it’s important that you keep in contact with these leads, providing them with a mixture of content and sales. Because there’s still loads of money in that list. Auto-responders are a different subject altogether though. Lets say for example that it costs you 20¢ a click to send someone to your squeeze page from Facebook. And that your conversion rate on the squeeze page is 40%. That means that for every dollar you spend, you will get two leads. 50¢ a lead, if you will. Now, looking back at our $100 product, we know that for $100 we can get 200 people to our sales page, while collecting 200 emails at the same time. All you need to do is ensure that your page converts, your offer is great, and you’re targeting the right people on Facebook. If you can get everything right, and one in every 100 people purchases your product, you will double your money. It’s not always that easy, but it is that simple. The most important factors here is making sure you have an offer which converts, and you’re targeting the right people. If you can get that right, you’ll be laughing. Of course, you can completely skip step 1 and 3, and send people directly to your sales page, but I find it’s best to build a list at the same time. After all, the money is in the list. But lets look at that option now. You can simply send people directly to your offer. Well, for one, if you’re paying 20¢ a click still, then you can send 2.5 times as many people to your page before breaking even. Rather than sending 200 people, you could send 500, which is quite an appealing idea. But this is not an option I recommend, and I’ll show you why now. First, it’s unlikely that you will still only be paying 20¢ a click. Your cost per click depends on your click through rate (how many times your ad is shown before it’s clicked on), and people are much more likely to click on an ad for a free offer, than a paid one. This means that your CPC goes up. In my experience, it’s usually by around 50%. Second, if people choose not to buy your product, then you’ve kissed that advertising money goodbye. At least if you send people to a squeeze page first, you can collect their email. Third, people like to know who you are before they buy something. Especially if it’s an info product, and not software. They want to see that you can provide quality content to them, before they start paying for it. Which you can do in the form of a free report or ebook. You have to make that human connection. As I sell info products, I rarely choose option 2, but there are times when you might want to. If you’re targeting your fans with information on a sale you’re having, then option 2 is a great idea. They already know who you are, and they’re much more likely to buy from you then. It’s also a good choice if you’re marketing an affiliate product. I’ve seen lots of people advertising OptimisePress 2.0 in the past few weeks, because it’s killer software which people actually want to buy. All you have to do is send people to the page, and the software’s found, James Dyson, does all of the hard work. Another good idea is if you’re advertising a customer testimonial. Brian Moran, the founder of Get10000fans runs a sponsored story every day, detailing a customer’s testimonial for his Timeline Blueprint course. The reason that ad runs every day, is because it converts like mad. It leads people direct to his sales page, but the conversions on the ad are great. I’m not saying you shouldn’t track conversions using Facebook’s methods, as it does work; you just need to be careful. If you’re running a campaign and you have it optimised for CPC, and then you go in and edit the campaign to track conversions, Facebook will automatically change the ad from CPC to ‘Optimised for Conversions’. This essentially means that you’re going to start paying a lot more for those clicks. That’s at least what happened to me. Rather than paying 20¢ per click, I ended up paying around $2.50, with terrible results. It spent my whole daily budget in just a couple of hours. I don’t know if Facebook is trying to be sneaky with this one, but watch out for that. So there you have it, there’s an introduction to Facebook advertising. 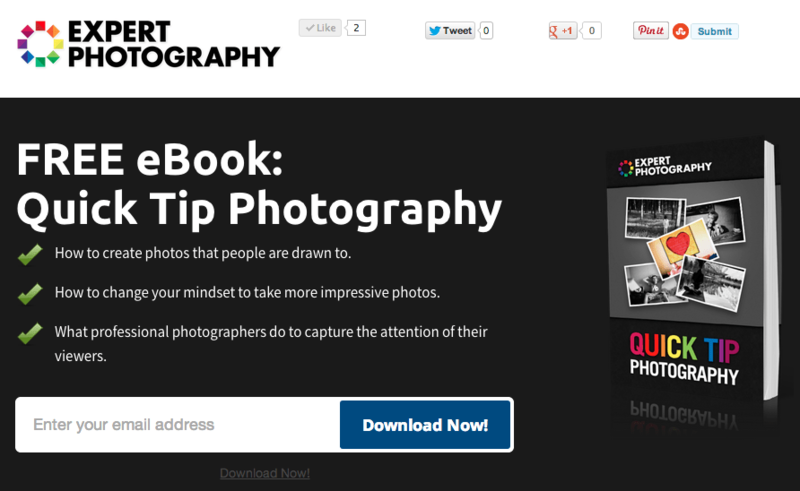 14 Ways To Actually Make Money From a Website! I’ve been trying Facebook ads for the last weeks making some changes here and there and trying to tweak my results. The first day I just promoted my fan page and got around 200 new likes for 3 bucks. At the end of the day I was having good results and I was happy, however I set a maximum of $10 per day, so when the day was about to finish, they decided to just promote the ad a lot more getting less clicks and increasing my CTR and CPM doubling it. And about the sneaky Facebook, the following day i had something even worst. Got around 300 extra likes, but Facebook decided to change my daily budget from $10 to $20, and they send me an email about that while I was sleeping. So you know what happened… when I woke up and watched my campaigns, the second day had consumed $20 instead of $10, and of course the CTR and CPM was horrible. Right now I’m trying with landing pages (OP 2.0) and some high converting affiliates but lowered the daily budget to $3. I made 2 pages, exactly as you’re describing. One with an opt-in form and another directly to my affiliate sales pages. Right now both have been doing similar, the CTR is super (1-3% which I know for Facebook is high) but my CPC is also really high (I didn’t set it, I just allowed Facebook to do it’s “best”). I’ll certainly post my results once I’ve got them but I wanted to ask, if you usually set your ads by CPC or CPM ? And if it’s done by CPC, do you follow the suggested values from Facebook? Great work by get10kfans and Brian Moran with such an amazing academy, I truly recommend it for anyone trying to boost their facebook marketing. I just started experimenting with Facebook Ads this week. I’m going to look into Facebook Ads Academy. Thanks! Simple, but not easy. 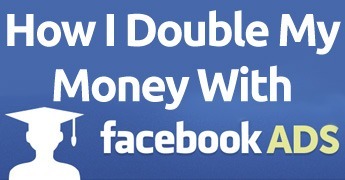 This is an excellent outline on how to do Facebook advertising profitably. I am doing something similar, but targeting brick n mortar business owners. "Do Not Write Another Blog Post Until You Watch This Free Video..."
How I got over 10,000,000 people to visit my websites. The types of blog post that got me all that traffic. How to get someone else to do it for you! Where should I send your video? Your privacy is safe. We will never share your information. Copyright © IncomeDiary 2009 - 2019. All rights reserved.